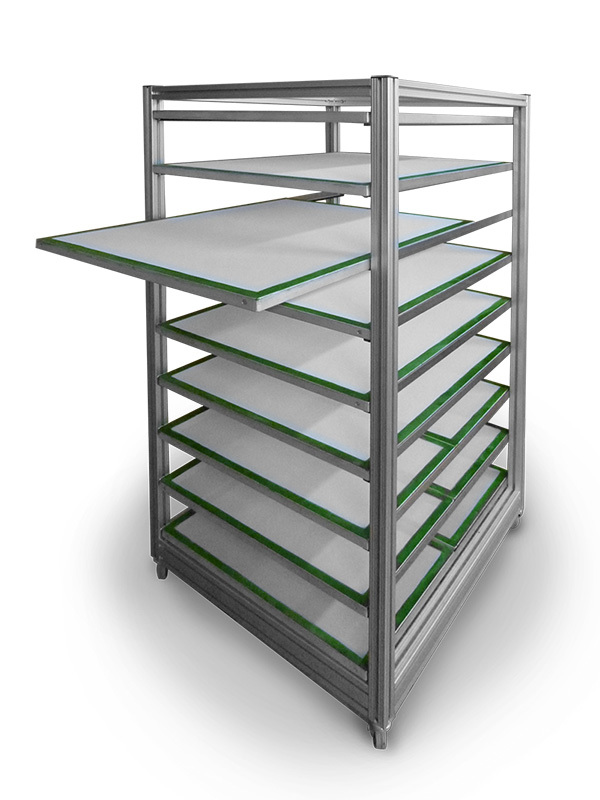 The movable portal can be adapted to almost all BELO work tables. Extra long stroke. The plate can be swivelled up to 90 °. Height-adjustable arm with transparent suction hood, mobile. Wash trays are custom built. Drying rack custom made (individual size), mobile with lockable wheels.